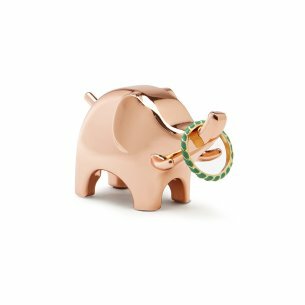 Store rings safely and conveniently with the refined collection of Copper anigram ring holders. 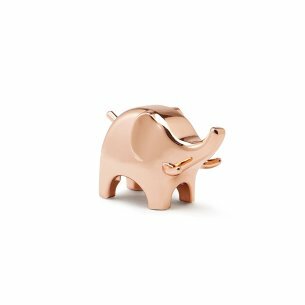 Anigram Copper comes in four different animal shapes: elephant, Reindeer, Giraffe and bunny, and are made of Copper plated metal. Each anigram has a padded base to protect surfaces and can be placed near a sink to store rings when washing hands or in the kitchen while cooking. Each anigram ring holder measures approximately 3-1/2-inch by 1-3/4-Inch by 1-inch. Designed by sung Wook Park for Umbra- original, modern, casual, functional and affordable design for the home.